Living in South Florida sometimes can come with a hefty price tag depending the location and type of property. But by living in Doral, real estate is more affordable and makes it easy for first time buyers as well as investors to buy property. With this in mind, we put together a list of what $200K buys in Doral real estate. Here is an opportunity to buy a nice size 1,470 square foot townhouse in gated Eagle Cove. Inside, there is a ton of open living space along with two bedrooms and two baths. Built in 1998, the kitchen has recently been remodeled. Eagle Cove is close to shopping, restaurants, Doral golf courses and excellent schools. Because this is a short sale, this is a great chance to buy property in an area where comparable properties are listed between the mid-$200s and the upper-$300s. As for rental investments, monthly rates in range anywhere from $1,800 to about $3,000 depending on the size and location of the townhouse. This is an excellent opportunity to get a great deal in a very well-sought after community. A one-bedroom, one-condo at the Blue Hyatt is a perfect spot to spend the winters in South Florida. 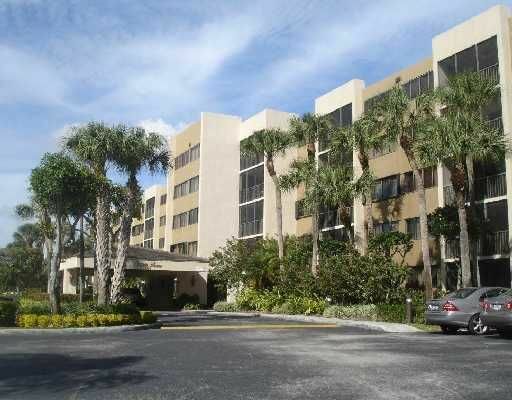 This is a huge opportunity own real estate at one of Doral’s premier resorts. Golfers have access to premiere golf courses with excellent shopping and dining close by for everyone else. 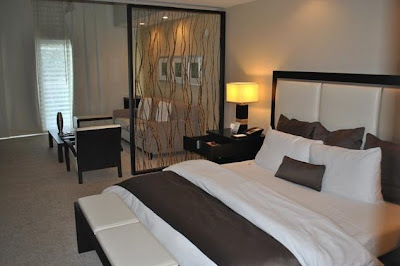 The unit is fully furnished with a gorgeous contemporary design with the balcony overlooking the golf course. Property owners have the opportunity to put their unit in the rental pool for guests and have access to other amenities including a fresh water pool, 24-hour security, state of the art fitness center, concierge, in-room dining and other Hyatt hotel extras. As an investment property, similar units have rental rates between $1,850 and $2,200 per month. In terms of vacation property, this unit at the Blue Hyatt is a real possibility. Location is the word of the day with this townhouse located in Leeward. East of the Turnpike and other traffic arteries into and out of Miami-Dade County, this Mediterranean-style townhouse, in one of the best communities in all of Doral – Islands at Doral, features a spacious living area along with a mix of flooring throughout both floors. With almost 1,600 square feet and three bedrooms and two baths, this is an excellent property for first-time buyers as well as investors and families who want the ease of condominium/townhouse living. 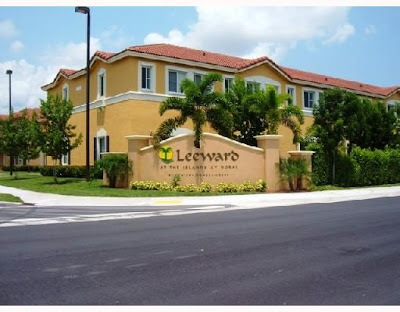 Currently, of the four units for sale at Leeward, this is the largest and least expensive. As a comparison, six similar properties at Leeward have sold in the past six months with sale prices between the upper-$100s to mid-$200s. As the months have progressed, so have the sale prices. This is also an excellent alternative to hotel living for professionals who spend decent lengths of time in Doral for business. 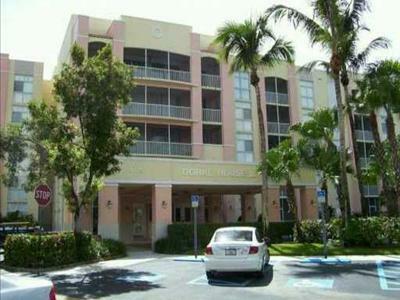 Doral House is situated in one of Doral’s best areas – Doral Park. This two-bedroom, two bath unit encompasses a split floor plan with just over 1,100 square feet and looks out over one of Doral’s top golf courses from the screen balcony. Residents enjoy a community pool, a large clubhouse with gym and sauna as well as a playground for kids, restaurant, bar, tennis courts, 24-hour security, and more. In addition to this unit being for sale, it is also listed as an available rental for $1,600 per month. Doral Oaks is a premiere community in a premiere Doral neighborhood. From the screened-in porch that provides lake and golf course views to the beautifully remodeled interior with Italian ceramic floors, granite counter tops and stainless steel appliances in the kitchen and so much more, this is a great unit to own. It also includes a membership to Doral Park Country Club and its amenities including tennis courts, pool and other amenities. One-bedroom units are rarely for sale in Doral Oaks and when they are, they sell quickly. In terms of properties for sale, there is one other one-bedroom unit for sale. While there are not any one-bedroom rentals currently available, the monthly rental rate should fall between $1,500 and $1,800. 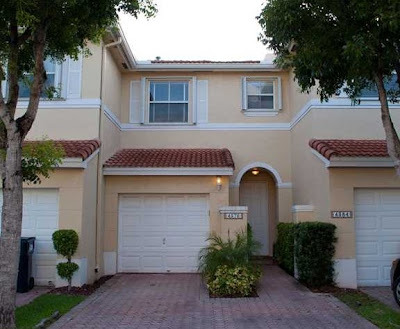 Doral is full of property priced around the $200K mark. At that mark, condominium units are the most prevalent with single family homes starting in the mid-$200s. Many condominiums have residences that have been remodeled with upgraded and modern fixtures and finishes start in the low-$200s. For first time buyers, investors, and those who want to get more for their investment look to Doral real estate.